Following the trend of using the blogs to comment on the plans for a Cliftonville conservation area, following Thursday's council meeting, I've added one here. I did say, during the debate, that my own concern, was that if the conservation area was rolled-out, piecemeal, then the developers would roll ahead of it, knocking down anything that might be costly to support in a conservation area. Think of places like Cyprus and you'll know what I mean. Residents can share their views on the consultation now taking place by e-mailing consultation@thanet.gov.uk or writing to Consultation, Thanet District Council, PO Box 9, Margate, CT9 1XZ. 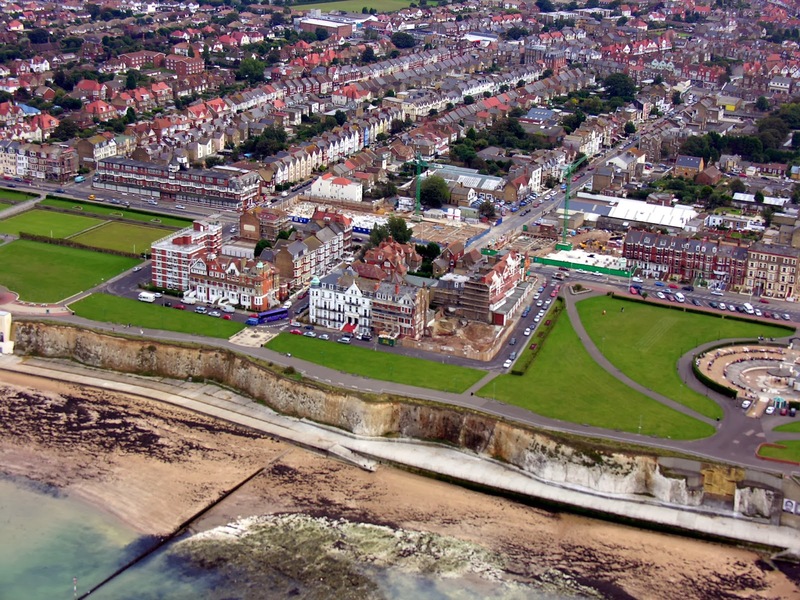 The Labour administration at Thanet Council rejected calls to promote a conservation area across Cliftonville at last Thursday’s council meeting. Instead, having done nothing with appraisals that were completed in 2011, they voted to roll out conservation slowly, over a smaller area, section by section, signalling to developers where and when they are safe to demolish. Cllr Julie Marson, Shadow Cabinet Member for Planning, commented: "facing the embarrassment of having publicly to admit their laziness in dealing with the issue of conservation in Cliftonville, the humiliation of being booed in public meetings by frustrated residents, and the strength of the movement started by Laura Sandys MP last summer, the Labour Cabinet had nowhere to turn. So they did the cynical thing: rejected cross party working, reinvented a less effective form of conservation than they were asked for, and claimed it was their intention to do this all along." Tweeters in the chamber and angry residents outside could not understand the lack of real action from the Cabinet, and immediately feared for the impact on the streets of Cliftonville abandoned by the Labour Party. Members of the council have agreed to consult on the future designation of a conservation site for Cliftonville with reference to the appraisals undertaken by the council. Preserving the heritage and important historic architecture of Cliftonville is a key part of the wider regeneration here and we recognize the benefits that formally designated Conservation Areas can bring. We’d like to begin consulting with residents to build support for future management of any conservation area and discuss the area this could cover. Our aim is to develop this in a way that is manageable and sustainable, complementing the wider regeneration of the area. This consultation will be in parallel with work to develop a new Design Code for Cliftonville which the council has initiated. This sees the council working in partnership with the local community so that they can be directly involved in how their town develops. This is a great opportunity for local people to give their views on the appraisal documents and to set out how they would like to see conservation taken forward in the future. The comments received will be used to feed into the development of the new Cliftonville Design Code which residents will have the opportunity to contribute to at a public event in April. Residents can share their views on these appraisal documents by e-mailing consultation@thanet.gov.uk or writing to Consultation, Thanet District Council, PO Box 9, Margate, CT9 1XZ. Simon, could I ask you and your colleagues to encourage as many cliftonville residents as possible to respond. I hear that Scobie minor is riding to the rescue. Presumably everything will now be OK with the conservation area.